In June 2013 Manchester Adult Education Service (MAES) cut it’s Arts provision completely. MAES had suffered cuts over 10 years along with most council services and in 2013 offered the remaining 12 tutors of it’s Visual Arts team the chance to move across to Family Learning, IT, ESOL or Jobs Group. Some tutors chose to move subjects, some took redundancy. Having previously worked in the service for 10 years myself, I was saddened by the cuts and felt moved to make some form of document of a service that had an important role in our local community at the very least. I also wanted to mark my colleagues, the last of the team, their roles as tutors and creative people. I decided to take pencil portraits of their hands, the tools they used to teach and create with. Utilising classic ‘learning to draw’ exercises; drawing fast, without looking at the page, drawing with a continuous line, I made several portraits of each tutor. Whilst drawing I talked to them about their time in adult education, how they fell into the work, what they enjoyed about teaching and how the job had changed over their time in the service. After spending a good hour or two with 9 of the 12 tutors it seemed that between them they had told me the story of the development of the adult education provision for arts in Manchester since the 1970’s. 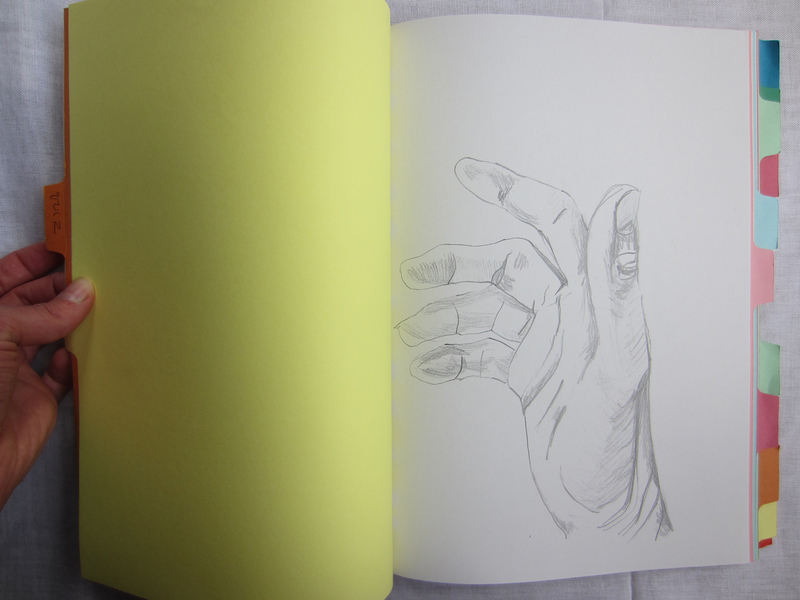 Taking visual cues from the old education aesthetic – old D-file dividers, a random selection of fonts, handwriting and photocopying – I compiled a book using the hand portraits and quotes from each tutor. Apart from the history of the service, what I got from talking to each of the tutors was a sense of what it is to be a teacher, a creative person and a learner; a person who values people, community and social learning. Also, what it means to be valued, discounted, be part of something bigger, ways to cope and ways to adapt and make new paths for sharing these skills with others. I wanted to keep it simple but I hope something of that comes across in the book too. Each tutor got a copy of the book and copies have also gone to the Local History section at Manchester Central Library. If you would like to own a copy, or share your own experiences of adult education, get in touch or come along to Manchester Artists Book Fair at The Holden Gallery at MMU this Friday or Saturday. Draw with it, paint with it, point with it will also be available to read in the Reading Room during the fair. Exhibitions. Artist’s tables. Reading room. Workshops. Suppliers.